Young Beauty Female Doctor Touching Patient Neck To Check Tonsils Status During Flu Time. Banque D'Images Et Photos Libres De Droits. Image 95444659. Banque d'images - young beauty female doctor touching patient neck to check tonsils status during flu time. 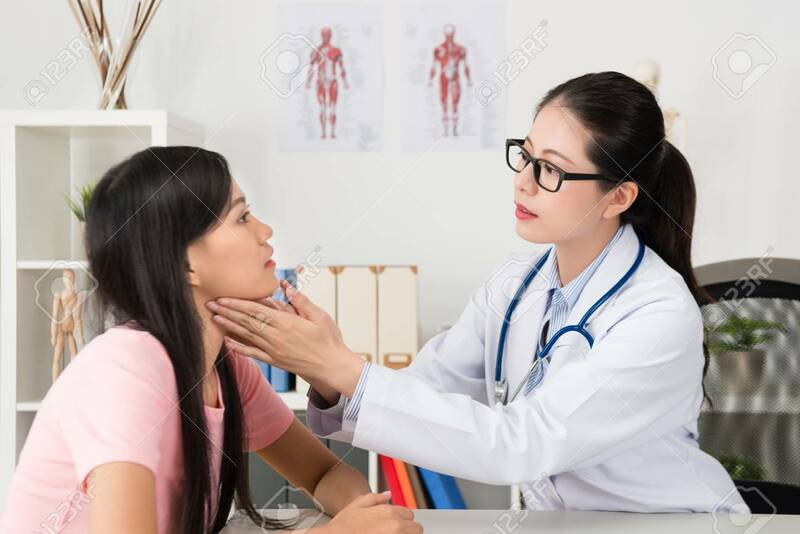 young beauty female doctor touching patient neck to check tonsils status during flu time.